DanceSyndrome is an inclusive arts charity that aims to inform and empower people through dance. We provide creative and fun dance workshops for anyone who wants to improve their physical health and personal wellbeing. We also provide learning disabled individuals with access to high quality leadership and development opportunities in order to be more active and visible citizens. By using dance as a vehicle for change, DanceSyndrome provides creative, cultural and social opportunities that increase physical health and personal wellbeing. DanceSyndrome workshops are inclusive and innovative. We believe that dancing can be fun for everyone, whatever your age or ability. 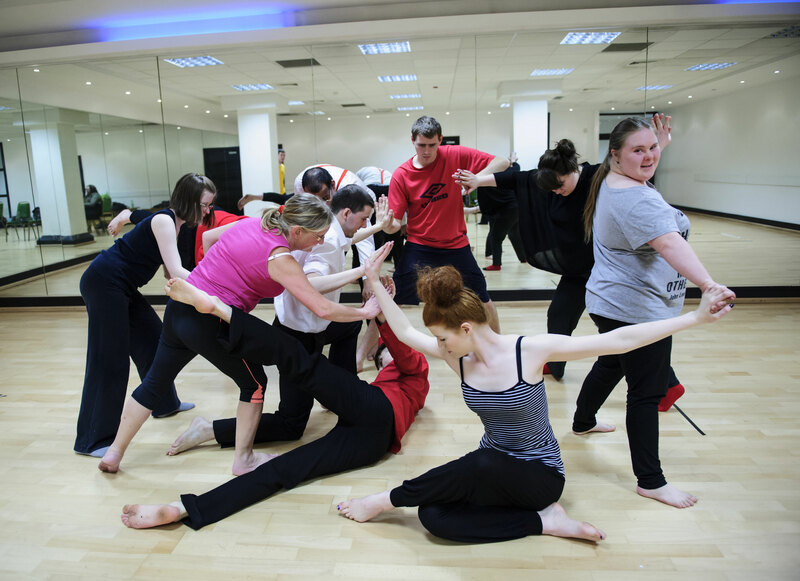 Our trained dancers, both with and without learning disabilities, work alongside each other to offer dance workshops for anyone who wants to improve their physical health and personal wellbeing. One-off or regular weekly sessions are available. We can work with you to create a programme bespoke to your participants’ needs and we use dance techniques that are suitable for everyone. Dance by Example is DanceSyndrome’s unique training course which empowers people with learning disabilities to become dance leaders. DanceSyndrome is inclusive whilst being learning disabled led, with people with learning disabilities at the forefront of all we do. 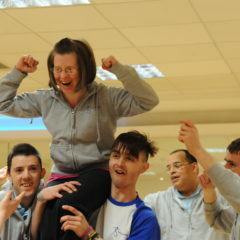 Dance by Example enables participants to discover the power of co-delivering inclusive dance sessions. This course is perfect for dancers who have learning disabilities and for people who love to dance and are committed to supporting people with learning disabilities. The course helps dancers to turn their passion into a career and enables them to become dance leaders. 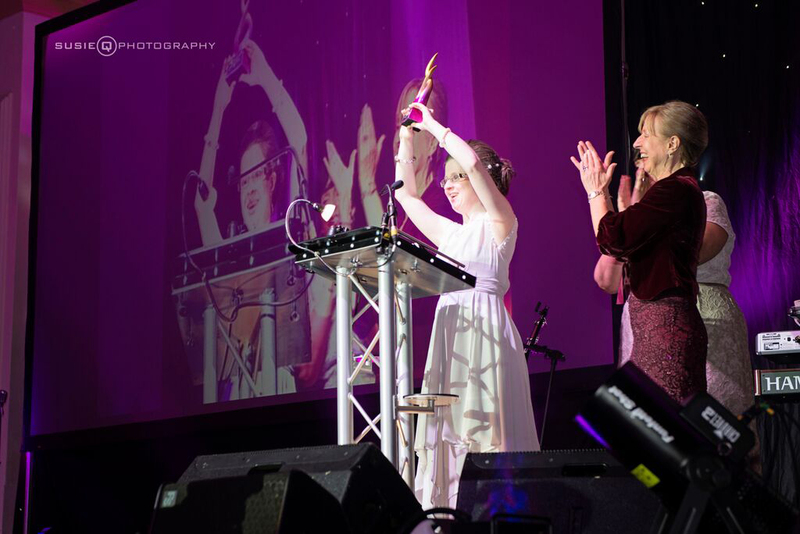 DanceSyndrome perform at a variety of public and private events across the UK, including community showcases, festivals, fundraising events, national conferences, AGMs, universities, schools and even parties and weddings! Please get in touch if you would like to discuss DanceSyndrome performing at your event. DanceSyndrome opens eyes. A performance allows us to share with you how powerful dance can be and allows us to demonstrate ability rather than disability. We really enjoy working with schools and universities where we can challenge the perceptions of students, the future workers in dance or performing arts and social sciences. 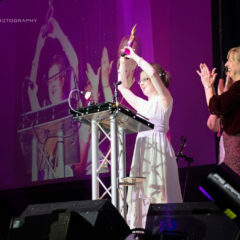 DanceSyndrome Founder and Creative Director Jen Blackwell was the winner of the Inspirational Woman of the Year award at the Enterprise Vision Awards 2015.